Alzheimer's disease (AD) is the most common form of dementia that results in memory impairment and cognitive dysfunction due to progressive neurodegeneration. Alzheimer's disease (AD) is the most common form of dementia that results in memory impairment and cognitive dysfunction due to progressive neurodegeneration. This disease is characterized by senile plaques, amyloid-β (Aβ) deposits and neurofibrillary tangles (NFTs) in the cerebral cortex and subcortical gray matter. This is the most common dementing illness of the elderly, currently affecting approximately 5.2 million people in the United States and 30 million worldwide. This value is expected to more than 100 million, in the year 2050, due to the “baby boomer” generation becoming older. Increasing evidence highlights the role played by oxidative stress in AD. It has been shown that free radical and oxidative stress induce memory deficits and enhance behavioral impairments in AD patients. In the brain and blood stream of AD patient’s atypical levels of oxidative stress have been testified. The brain is more susceptible to damage from free radicals caused by oxidation processes due to high lipid content (60%) and excessive consumption of oxygen (20%). In addition to this the brain is especially rich in iron, which plays an important role in the generation of reactive oxygen species (ROS) in the membrane lipids consisting mainly of polyunsaturated fatty acids. Although the exact mechanisms responsible for this deleterious effect remain unclear, it is clear that oxidative stress occurs before the formation of senile plaques and NFTs both of which are neuropathological hallmarks of AD. Patients affected with AD have cognitive impairment due to improper function of the central cholinergic system. Cognitive functions depend on the central cholinergic system and the activity of the AChE (acetylcholinesterase). The main indicator of AD is the alteration of this AChE activity. The involvement of oxidative stress in AD has long been known and investigated. Brain antioxidant defense enzymes such as catalase (CAT), superoxide dismutase (SOD), glutathione peroxidase (GSH-Px), glutathione reductase (GSR) and glutathione-S-transferase (GST) play an important role in preventing or slowing the progression of free radical mediated oxidative stress. Nature is the best combinatorial chemist and possibly has used to treat almost any medical problem of mankind. Mankind has been using plants as therapeutic agents for thousands of years and continues to rely on them for health care. This fact was seen from the use of natural herbs to cure disease and relieve physical sufferings. 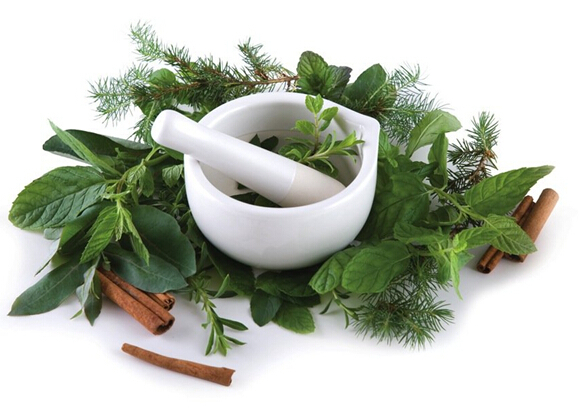 Medicinal plants are the best source of natural nootropics. Nootropics also referred to as smart drugs, memory enhancers, cognitive enhancers etc. that are purported to improve mental functions such as cognition, memory, intelligence, motivation, attention, and concentration. Alzheimer's has no current cure. The drugs with antioxidant effects might be beneficial for preserving brain function. Today, there is a worldwide effort under way to find better ways to treat the disease, delay its onset, and prevent it from developing. The phytoconstituents of plants play an important role in the treatment of AD. Natural cognitive enhancer such as Ginkgo biloba, Bacopa Monnieri, Huperzia serrate, Rhodiola rosea, Vinca minor, Huperzia serrate, Centella asiatica, Eruca sativa etc. has been widely examined for the treatment of AD.